In the airplane, there’s a checklist for everything: a preflight checklist, a startup checklist, a before takeoff checklist, a climb checklist, and many more. There are troubleshooting checklists and emergency checklists. 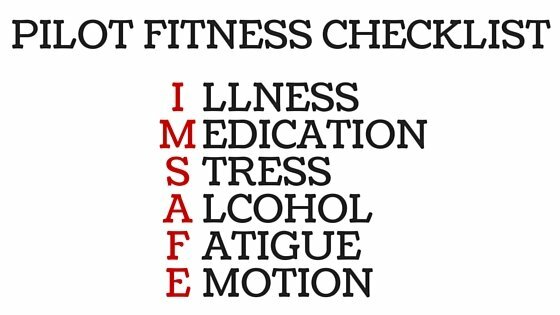 But did you know that there’s also a checklist for pilots that assesses their fitness for flight before they even get into the airplane? It’s a generic checklist put into practice by the FAA called the I’M SAFE checklist, and it’s a quick and easy way to assess whether a pilot is fit to fly. Before each flight, the pilot should ask himself a series of questions about his general fitness for flight. Am I feeling okay? Am I tired? Am I sick? Am I stressed? Before flying, a pilot needs to address his general health. Is he feeling okay? Is he sick? If he has been sick, will this type of illness interfere with flying duties or put the flight in a hazardous situation? If he has a cold, will the air pressure be problematic on his ears while climbing or descending? There are certain medications that are not allowed for pilots. Other medications are okay as long as enough time has gone by after the last dosage. And still others are completely okay to take while flying. A pilot must ask himself if he is on any medication, or is he’s recently taken anything on the prohibited list, and in general, if any medication will affect his state of mind or interfere with the overall safety of the flight. Stress can have lasting effects on us, even if we don’t obviously see it or feel it. Even if a pilot feels good, if he’s been under a lot of stress or has been subject to a very stressful life event like a death in the family or a divorce, he may want to reconsider flying until the stressful nature of the problem is relieved. And some people handle stress better than others. One person might thrive in a stressful situation while another shuts down mentally. Alcohol severely impairs a person’s judgment and causes a person to make poor decisions. Alcohol also impairs vision and reduces reaction time.  The FAA has a rule that a pilot may not fly while under the influence of alcohol, or within eight hours of consuming alcohol, or with a blood alcohol content of 0.04% or higher. It’s clear why this is part of a pilot’s personal safety checklist. No pilot should ever fly if this is in doubt. Fatigue is a very difficult thing for a pilot to self-evaluate. We often don’t feel tired even though the effects of fatigue are apparent, especially if we’re focused on a task. And it’s human nature to try to continue on with what we’re doing even when we’re tired. But a tired pilot will make mistakes, so before flying, a pilot should ask himself if he got enough sleep the night before, if it was restful sleep, or if there is any other reason that he might be unusually tired, such as an intense physical workout or a recent stressful day at school. A pilot should make an effort to recognize fatigue and set personal limitations that he’ll follow, even if he doesn’t feel tired. Emotionally, a pilot needs to be stable to be a safe and proficient pilot. But as humans, we all have emotional times in our lives that affect us negatively. A death of a loved one or even a pet, or a heated argument with a partner can cause us to lose mental focus. Things like depression and anxiety are common, even among pilots, so before each flight, a pilot should asses whether he’s emotionally stable. If not, he should take some time to recover or even seek help from a professional. feel happy to know this. Business studies student can this course ? and power is problem for a commercial pilot course my son eye power is(- 3.5) in both eye please let me know about this. Very interesting.It is of great benefit and understanding to those that goes through it. Very important, but, do you think people in general are capable to truly and sincerely self evaluate, and in the case of having some impediment or disability at the time of the flight, they’ll express it? But do most pilots actually self evaluate themselves before every flights . Well, this is real good, it helps one know their expectations.